The EGGER HOME laminate flooring is practical, high quality and easy to care for. Equipped with anti-static properties, electrical charges are reduced to a minimum. The floorboards in the usual Classic Format are versatile in use, irrespective of the size of the room. The authentic wooden floorboard effect is perfectly highlighted thanks to a circumferential V-bevel. This variant of the HOME laminate flooring is suitable for all private living spaces as well as for commercial spaces exposed to normal use, such as waiting rooms or offices. 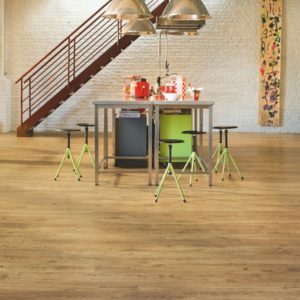 When used in residential settings, EGGER provides a 20-year warranty for HOME laminate flooring.